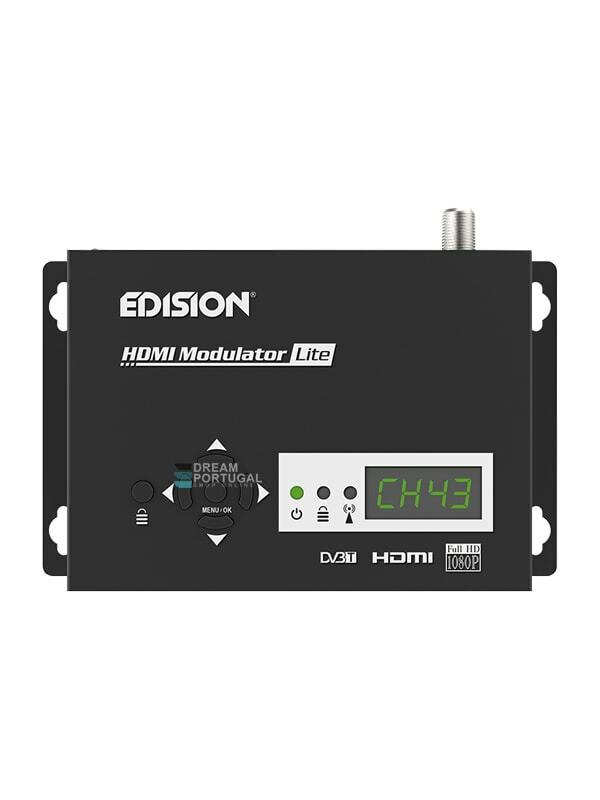 Digital modulator, single-channel HDMI to DVB-T MPEG4 FULL HIGH DEFINITION, with pre-configured and easily selectable programming. HDMI signal input from any HDMI source (Terrestrial & Satellite TV receivers, cameras, DVD's, DVR's, etc) is converted up to FULL HIGH DEFINITION 1080p, Digital Terrestrial DVB-T MPEG4 signal output, in VHF/UHF band. Produces excellent quality digital COFDM signal output, combined with reliable functionality and stable operation, under all configurations. With USB port for fast CONFIG DATA function. Plus, its FAST PRE-CONFIG function offers 50 pre-configured and easily selectable ID's for quick and easy programming, when more than 1 units in the same installation.